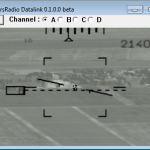 Today, UniversRadio DataLink (URDL) brings a PhotoLink between an aircraft and a tactical controller. 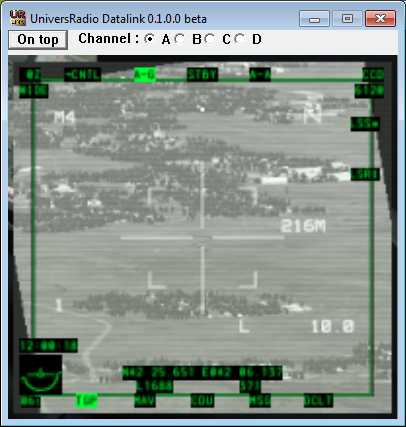 The transmission is secured by the UR IFF code and via UR Transponder or embedded IFF as the A-10C..
UniversRadio DataLink is interesting for pilots who export MFCD to additional monitors. These pilots have personal Monitor Setup files. 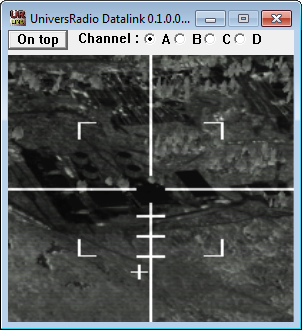 URDL sends pictures to the tactical controller according to the channel number and IFF secured code (from UniversRadio Control Panel). 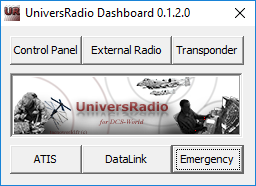 URDL display a banner with 4 channels. 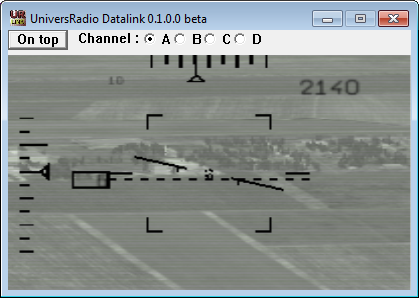 The controller can be a JTAC or can be embedded in a AWACS. 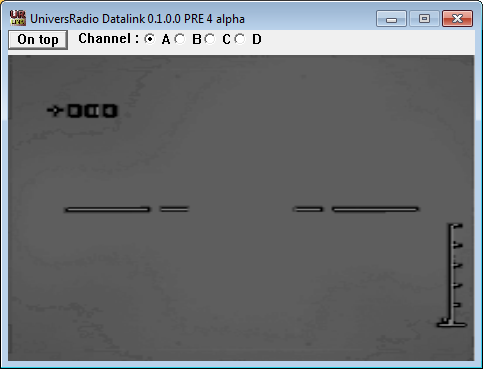 URDL displays a banner with 4 channels and a receiver monitor. 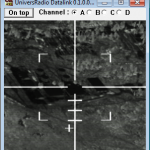 In theory, ground attack aircraft with FLIR or video sensor, are the sources of UR DL ; as Su-25T / A-10A / A-10C / Ka-50 / SA-342. Pilot can only send pictures by pressing the configured “Transmit URDL” hotkey. 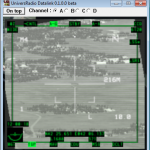 JTAC or AWACS operators can receive pictures according to the following conditions. This code can define a coalition. Tactical controller : Configuring incoming TCP:10601 port on Internet router/firewalls and launch UR Datalink. 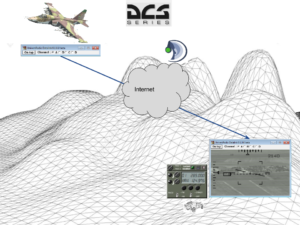 Pilot : Using MFCD default export from DCS Monitor Setup via Option menu, ex “Camera + RMFCD”, or customized export, and launch UR Datalink and activate your IFF mode 4 in the virtual cockpit or with UR Transponder. 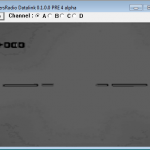 Configuring the same URDL channel (A B C D). Being in the range of communication. Then, from options menu of DCS, choice your new Monitor setup file.